Own a true piece of US military history. 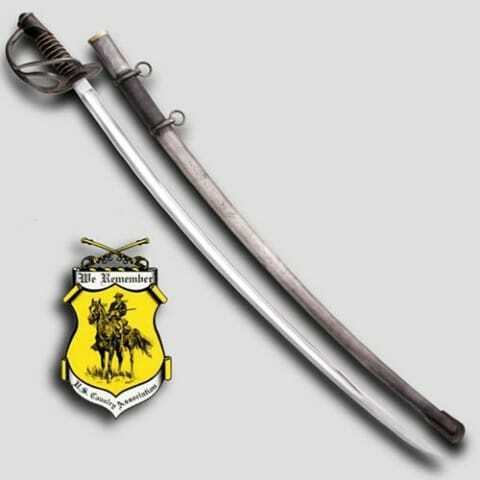 Exacting replica made to original specifications under guidance of the US Cavalry Association. 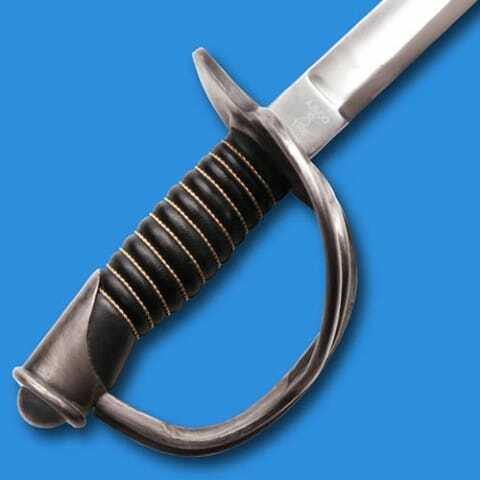 Correct right down to the intricate solid steel bar hilt. High carbon steel hand forged 88cm blade with full tang and tempered. 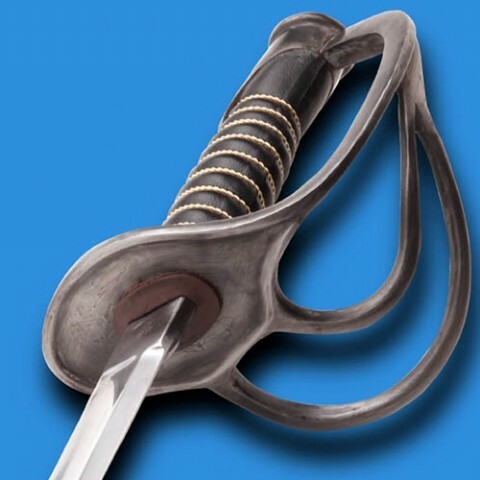 Features the unique double fuller famous for strength while lightening the blade for use on horseback. Expertly formed wooden grip covered in leather and wire as per the specification. 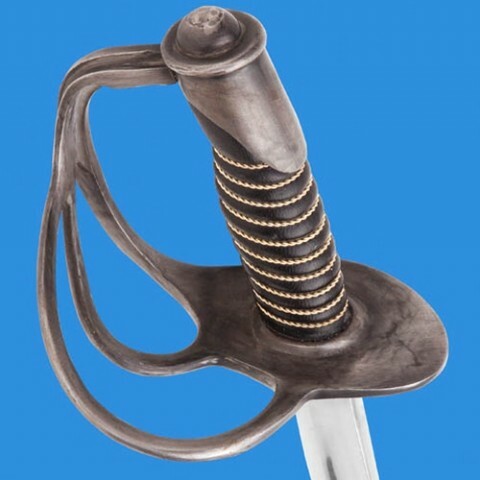 Steel scabbard has an antiqued finish to match the rugged and beautiful hilt.